Hear the indie rock group’s newest release for Omaha indie label Saddle Creek’s Document Series. 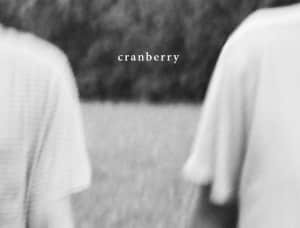 Austin indie-rock duo Hovvdy have a new song out today, "Easy," which fits snugly into the soft and quiet sonic landscape songwriters Charlie Martin and Will Taylor have carefully crafted on Taster in 2016 and 2018's Cranberry. The new track — which is part of indie label Saddle Creek's Document Series — is a lovely downtempo song that would go well with a cup of coffee while staring out onto a cool and foggy morning. Gentle washes of guitar and and piano are paired with Martin's warm and crackly vocals, making "Easy" a kind refuge to slip into before settling into the bustle of the day. "I wrote 'Easy' over a long period of time," Martin writes of the song via email. "The melody came together on piano and I played the song without words a lot. Eventually, I had a train of thought and the words came along about being in a shared struggle and the give and take; the optimism inherent in listening to other people’s stories; waking up on the ground and feeling safe." Listen above, and see Hovvdy's upcoming tour dates below. 9/16 - Nashville, TN @ The High Watt "